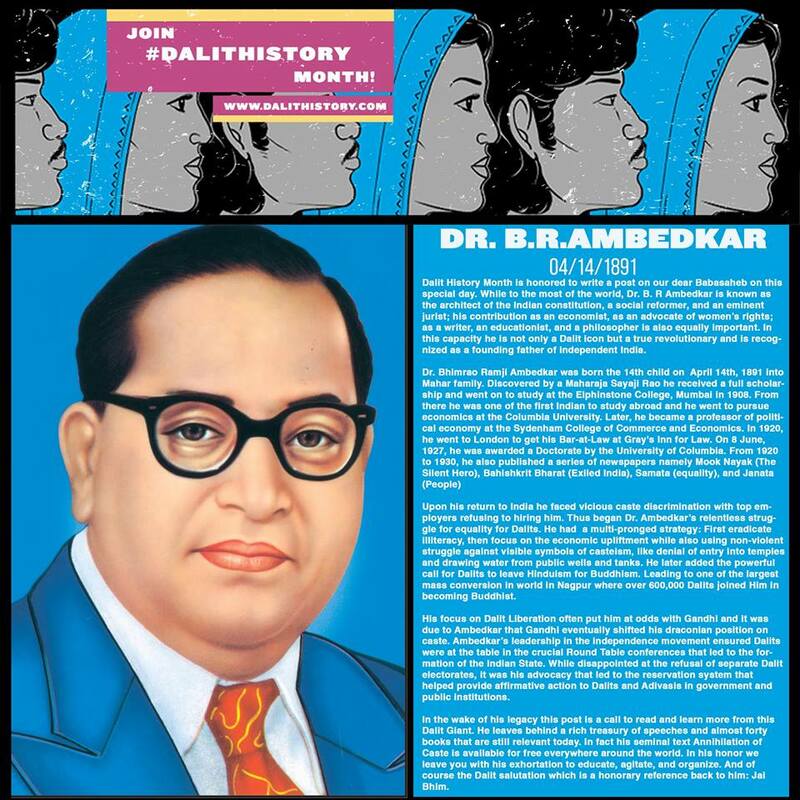 ‪Dalit History‬ today is honored to write a post on our dear Babasaheb on this special day. While to the most of the world, Dr. B. R Ambedkar is known as the architect of the Indian constitution, a social reformer, and an eminent jurist; his contribution as an economist, as an advocate of women’s rights; as a writer, an educationist, and a philosopher is also equally important. In this capacity he is not only a Dalit icon but a true revolutionary and is recognized as a founding father of independent India. Upon his return to India he faced vicious caste discrimination with top employers refusing to hiring him. Thus began Dr. Ambedkar’s relentless struggle for equality for Dalits. He had a multi-pronged strategy: First eradicate illiteracy, then focus on the economic upliftment while also using non-violent struggle against visible symbols of casteism, like denial of entry into temples and drawing water from public wells and tanks. 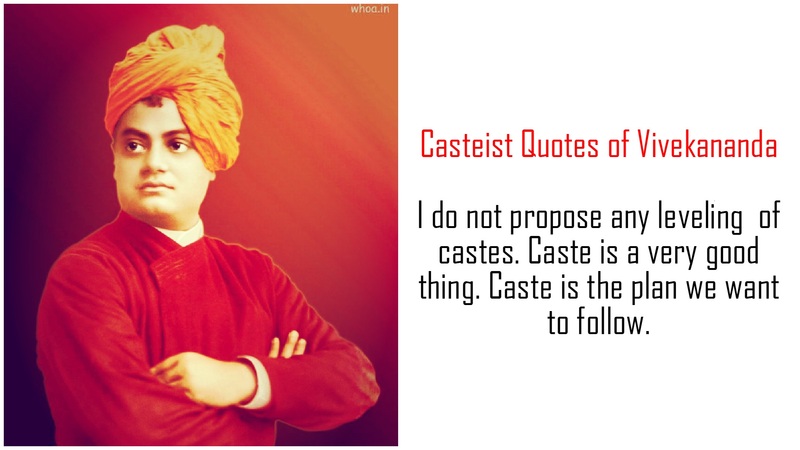 He later added the powerful call for Dalits to leave Hinduism for Buddhism. Leading to one of the largest mass conversion in world in Nagpur where over 600,000 Dalits joined Him in becoming Buddhist. His focus on Dalit Liberation often put him at odds with Gandhi and it was due to Ambedkar that Gandhi eventually shifted his draconian position on caste. Ambedkar’s leadership in the independence movement ensured Dalits were at the table in the crucial Round Table conferences that led to the formation of the Indian State. While disappointed at the refusal of separate Dalit electorates, it was his advocacy that led to the reservation system that helped provide affirmative action to Dalits and Adivasis in government and public institutions. In the wake of his legacy this post is a call to read and learn more from this Dalit Giant. He leaves behind a rich treasury of speeches and almost forty books that are still relevant today. 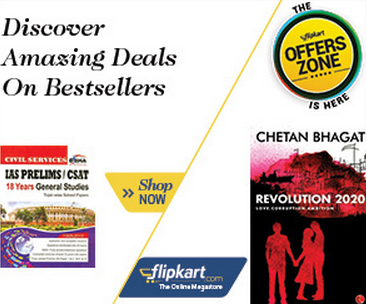 In fact his seminal text Annihilation of Caste is available for free everywhere around the world. In his honor we leave you with his exhortation to educate, agitate, and organize. And of course the Dalit salutation which is a honorary reference back to him: ‪‎Jai Bhim‬.